It is very important for organizations to implement consistent solutions in the digital era. In such a situation, an SAP consulting company can assist you to meet the challenge and change your company with latest tools. 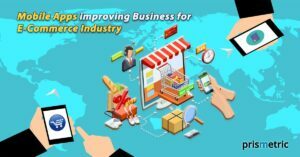 Prismetric leverages software to deal with the developing requirement of your business and allow you to offer everlasting consumer experience which is the need of the hour. With ample experience in consulting services, we can assist you to execute, optimize and convert your applications that can bring brilliance to your business. The Strategy is to build upon accessible IT infrastructure with solutions tailored according to your requirements. Our consultants focus on generating assessable consequences for you. 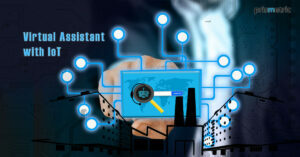 Our skill across industries assists us to craft industry detailed solutions using proven performances. 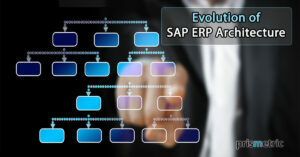 We assist organizations to execute and control applications by the vital SAP Solution Manager platforms. Our team of professional SAP consultants allows organizations to take benefit of innovative functionality that is easier to use into existing SAP enterprise solutions. From our experienced SAP technology consultants’ strategy and sector-specific execution through to steady operation with Prismetric, the largest general full-service partner for end-to-end incorporation, and our consumers get everything from one provider. The proficiency of specialists means that you are sure optimal execution of current and future requirements in difficult application environments. Our practiced SAP business workflow consultants make sure professional regulation and support based on the latest discovery in the area of technology and platforms. Our methodology is focused on a highly collaborative approach. We constantly use best practices to control essential technologies that generate higher business performance with effective use of big data services. This tactic has verified time and again to maximize the client’s revisit on their investment. Our 100% success rate with customers is a straight consequence of our belief that winning projects begin with senior consultants who acquire profound, industry-specific information. This consequences in lower consultant-to-client ratios on our developments, which in turn guides to better information transfer, advanced client independence, and consumer satisfaction. Our senior-level consultants have a perfect combination of technical proficiency, business management, management, and project insight that enables them to successfully lead a team through the whole workflow development lifecycle. We have practice running whole projects and incorporating organizations on small and large-scale clients. Just enhance the app user experience and performance using Fiori. Increase your content layers and expand your app with ease using this wonderful technology. For fortifying the enterprises a comprehensive BI/BO solution will be vastly helpful. We will ease your business friction by offering management, reporting, and data warehousing tools. A capable SAP solution provider supported by SAP Center of Excellence to offer you implementation, rollout upgrade, and support solutions efficiently to augment your business. We offer efficient Functional Services as it is necessary to track your company’s system and keep it upgraded so as to have it function well. Plan your resources systematically by having your business database well secured, stored and maintained through S4 Hana and accelerate your enterprise processes. Get a wonderful HANA solution developed to analyze your enterprise data for your growth and benefit through analytics in this technological era of information and Data.